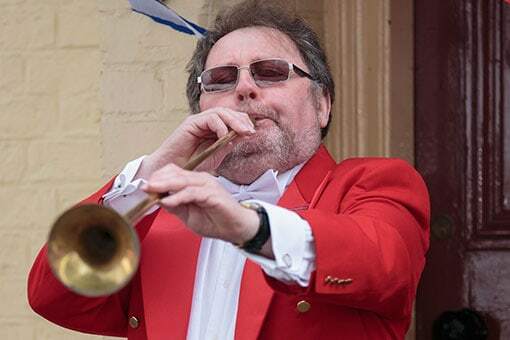 The first superfast broadband connection in Spaldwick took place on 1st July 2014. Since then, superfast broadband is making a considerable difference to residents and businesses in Spaldwick. If you haven’t subscribed to superfast broadband yet, please read below what other residents think about high-speed fibre broadband now they have it! For more information, read our Superfast Fibre Broadband Questions and Answers and/or our broadband newsfeed. If you have had superfast broadband installed, please let us know what you think by emailing broadband@spaldwick.com. 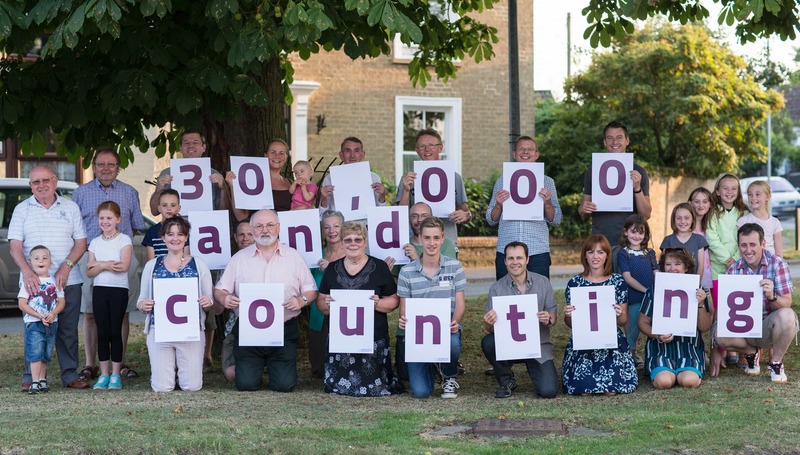 Some of the early adopters of superfast broadband from across Spaldwick got to pose for the ‘official’ Connecting Cambridgeshire photograph (below), celebrating the first 30,000 homes being passed with high-speed fibre broadband in Cambridgeshire. David owns the electrical retailer in nearby Kimbolton and has struggled with slow Internet speeds, being close to the edge of Spaldwick. “I’ve noticed a dramatic improvement in speeds. Gone are days of frustration of a pretty near non-ability to download, to the joy of having downloads appearing as one old comedian use to say “before your very eyes”. Now iPlayer is a joy to view. Now at our house, as far as broadband is concerned, all is bliss, especially when members of my family visit from the Oxford area. No longer will I have to suffer the moans and groans and cries of “YOUR’E BROADBAND IS A WASTE OF TIME”! I have some very jealous friends. Incidentally, from a business point of view, the sale of Smart TVs in the Spaldwick area will be made a lot easier! Alison is PR and Communications Manager at the nearby Kimbolton School and needs to upload and update content regularly on the school website. Before, she needed to go into school but can now work from home since the home broadband connection is now faster than at school. Stuart commutes to London. With very poor mobile coverage in the village, Stuart has a femtocell signal booster. With poor broadband speeds previously, performance of the signal booster was very poor, but now it works perfectly with superfast broadband. Son Alex is back from university for the summer. He wasn’t looking forward to coming home to poor speeds after getting used to the university network, but now says that speeds are even better than at university!